Vi er stolte av å kunne presentere gitarlegenden Preston Reed! Dette er virkelig en av pionerene innen sjangeren fingerstyle. Preston gjestet Larvik gitarfestival i våres og krefter i miljøet ønsket å hente han tilbake etter sommeren. Vi er veldig fornøyde med at Herr Nilsen ble stedet! 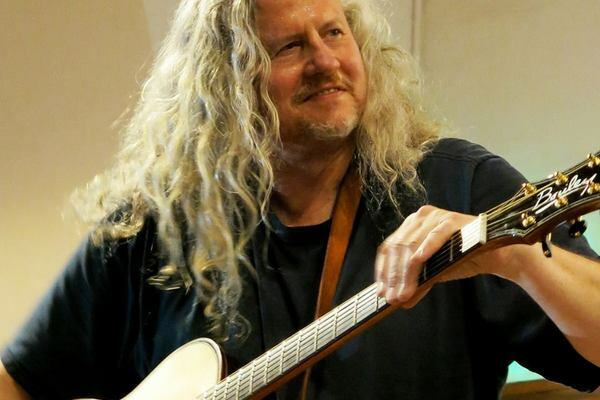 One of the most influential and innovative guitarists of the past quarter century, Preston Reed invented integrated percussive guitar playing in the late 1980's, revolutionising the way the acoustic guitar is played and inspiring generations of musicians around the world ever since. Employing multi-voiced grooves, polyrhythmic percussion and story-telling compositions, Reed's visionary approach fully exploits the breathtaking orchestral potential of the acoustic guitar. Since 1979 Preston has released fifteen critically-acclaimed albums and performed on six continents. His long teaching experience includes The Swannanoa Gathering, where he taught Kaki King, his own week-long workshops in Scotland, attended by many over the years including Ed Sheeran, and his recent masterclass at Berklee College of Music. His 1994 instructional video, The Guitar Of Preston Reed: Expanding The Realm Of Acoustic Playing continues to set today's and tomorrow's top players on the path to developing their own musical voices on the instrument. Gitarist i Led Zeppelin-hyllestbandet Gentle Groove, Simon Sigurdson åpner kvelden.